On the basis of organic matter content, soils are characterized as mineral or organic. Mineral soils form most of the worlds cultivated land and may contain from a trace to 30 percent organic matter. Organic soils are naturally rich in organic matter principally for climatic reasons. Although they contain more than 30 percent organic matter, it is precisely for this reason that they are not vital cropping soils. This soils bulletin concentrates on the organic matter dynamics of cropping soils. 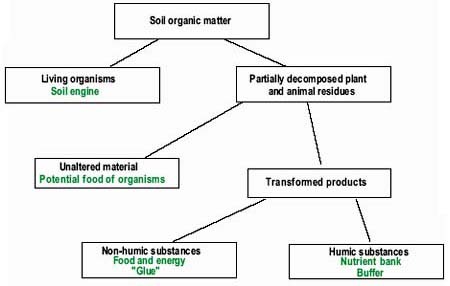 In brief, it discusses circumstances that deplete organic matter and the negative outcomes of this. The bulletin then moves on to more proactive solutions. It reviews a basket of practices in order to show how they can increase organic matter content and discusses the land and cropping benefits that then accrue. 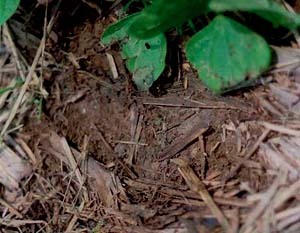 Organic matter within the soil serves several functions. From a practical agricultural standpoint, it is important for two main reasons: (i) as a revolving nutrient fund; and (ii) as an agent to improve soil structure, maintain tilth and minimize erosion.